CriticalPoint has teamed with international experts to bring you a state-of-the-art Sterile Compounding curriculum. These experts not only talk about these principals but have also put these practiced principals to use while working in their own cleanroom environments. We believe this practical, hands-on perspective is a critical differentiator. Please review our authors' CV's for additional information. Mr. Kastango received his Bachelor of Science degree in pharmacy from the Massachusetts College of Pharmacy and Allied Health Sciences and his Master of Business Administration degree from the University of Phoenix. He completed 65 hours of training in nuclear pharmacy at Purdue University and 80 hours of didactic training for the Six Sigma-Green Belt certification that he started with BD Medical Systems. Eric received a coveted ISMP Cheers Award in 2015 for his work related to sterile compounding safety. He is one of four recipients of the 2013 Outstanding Service Award from the Massachusetts Society of Health-System Pharmacists and the 2014 recipient of the NABP Henry Cade Memorial Award that recognized his efforts and assistance to the states and NABP to address the compounding tragedy that occurred in 2012. He is an active member and Fellow of the American Society of Healthcare Pharmacists and served on the USP Sterile Compounding Committee from 2005-2010 and 2010-2015 USP Council of Experts, Compounding Expert Committee until April 2013. In May 2013, USP recognized Eric and the members of Compounding Expert Committee with an Award for Outstanding Contribution to the USP Standards-Setting Process. He has served on the USP Hazardous Drug Expert Panel since 2010. He is actively working with NABP and state boards of pharmacy to provide training to their sterile compounding inspectors. Eric served on the Expert Panel for ASHP Research & Education Foundation in the development of the 2015 Outsourcing Sterile Products Preparation Vendor Assessment Tool and ASHP’s Insourcing Readiness Assessment Tool. He is also the author of the 2004 ASHP Discussion Guide on Sterile Preparation: Summary and Implementation of USP Chapter 797, the ASHP Sterile Product Preparation CD-ROM: A Multimedia Learning Tool, the ASHP web-based 797 Compliance Advisor Gap Analysis Tool for USP Chapter 797. He assisted in the development of the CriticalPoint web-based educational series on Sterile Compounding and the Annual National USP <797> Compliance Survey now in its fifth year. Eric has over 200 invited national and international professional presentations on various pharmacy practice topics such as pharmacy compounding, patient safety and quality systems. Kate Douglass is the Vice-President and Chief Learning Officer of CriticalPoint, LLC, a healthcare training and development company. She is a co-author of CriticalPoint’s Interactive USP Chapter <797> Gap Analysis Tool and Co-Director of the annual USP 797 Compliance Study. 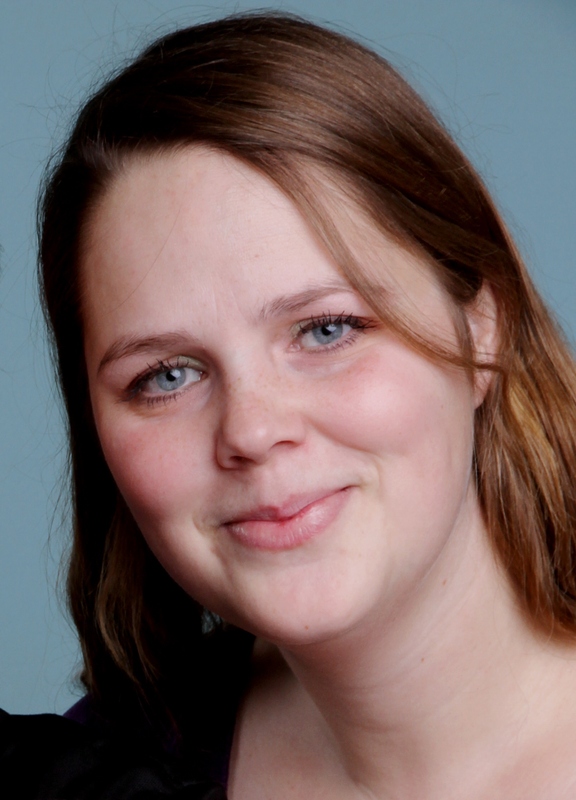 Kate has written numerous articles on sterile compounding quality and training. She co-authored a paper commissioned by the Pew Charitable Trust titled “Quality Standards for Large-Scale Sterile Compounding Facilities” and is a member of the Sterile Compounding Boot Camp Faculty. Kate has personally supervised the design, engineering and build of pharmacy compounding facilities that met or exceeded USP requirements. She was the Project Manager for the design and build of CriticalPoint’s Center for Training and Research in Totowa, New Jersey. Prior to joining CriticalPoint, Kate was the President of Performance Strategies, LLC, a company focused on best practice sterile compounding and drug administration assisting hospitals, alternate site, manufacturing, and commercial health care market segments. Kate has also served as the Senior VP of Clinical Operations for Coram Healthcare and as COO of SoluNet, LLC, a licensed pharmacy and FDA-registered manufacturer (later acquired by B. Braun’s CAPS) that provided CSPs to hospitals. Licensed as an Advanced Practice Nurse, Kate received her Bachelor of Science from Villanova University and a MS from Rutgers, The State University of New Jersey. She holds a post graduate Certificate in Advanced E-Learning Instructional Design and is currently pursuing training that will lead to CPLP (Certified Professional in Learning and Performance) certification. She serves on the Editorial Board of the Journal of Infusion Nursing. 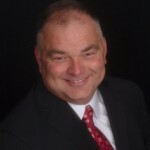 Jim Wagner, the president of Controlled Environment Consulting (CEC), has over thirty three years’ experience assuring the performance of critical environments. His consulting includes design and evaluation of sterile compounding facilities, containment facilities and other engineering controls. Jim conducts international training on cleanroom and containment device certification. He serves on the Faculty of CriticalPoint’s Sterile Compounding Boot Camp and is an outgoing board member for the Controlled Environment Testing Association, serving as their President in 1992-1994 and 2006. 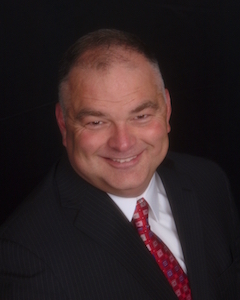 Prior to founding CEC, Jim was the President of Micro-Clean, a certification and validation company. Recently Jim led the Controlled Environment Testing Association’s (CETA) efforts to develop guidance documents for USP Chapter 797. He served on the USP sterile compounding expert committee for the 2005-2010 appointment cycle and is a member of the 2010-2015 USP Hazardous drug compounding expert committee. He has presented at many USP forums on engineering controls for sterile compounding. Jim is a steering committee member for NSF/ANSI standard 49 Biosafety Cabinetry: Design, Construction, Performance, and Field Certification. He has been an NSF accredited BSC certifier since program inception in 1993. She received her pharmacy degree from the Philadelphia College of Pharmacy and Science, and a Masters in Public Administration from Marywood University in Scranton, Pennsylvania. She completed an Executive Fellowship in Patient Safety from Virginia Commonwealth University and is an Adjunct Associate Professor at Wilkes University in Wilkes-Barre, Pennsylvania. She has served on the Board of Directors of the American Society of Health-System Pharmacists and as President of the Pennsylvania Society of Hospital Pharmacists. She is a Fellow of ASHP, was named Pharmacist of the Year by PSHP, and the recipient of the Distinguished Achievement Award in Hospital and Institutional Practice from the American Pharmaceutical Association Academy of Pharmacy Practice and Management, and the Distinguished Leadership Award from ASHP. She has served on the Pharmacotherapy Specialty Council of the Board of Pharmaceutical Specialties, the Pennsylvania Patient Safety Authority, the Hospital Professional and Technical Advisory Committee of The Joint Commission, and on the Board of Governors of the National Patient Safety Foundation. She is a current member of the USP Compounding Expert Committee and chairs the Subcommittee on Hazardous Drugs. Patti is the author of Compounding Sterile Preparations: ASHP’s Visual Guide to Chapter <797> video and Companion Guide, co-author of Assuring Continuous Compliance with Joint Commission Standards: A Pharmacy Guide, 8th edition, and author of The Chapter <800> Answer Book. She edited Understanding JCAHO Requirements for Hospital Pharmacies. She is a frequent presenter to professional groups, with special interests in promoting medication safety, compounding sterile preparations, accreditation, and regulatory issues. Mark is Director of Special Projects for Clinical IQ and a pharmacist with over 30 years’ experience in sterile compounding: hospital, infusion therapy/home and LTC, as well as, FDA regulated outsourcing facilities. Mark’s main focus through the years was the introduction and instillation of GCP/ GMP culture through quality systems management of SOP development, documentation, training and CAPA. 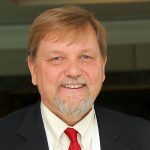 Joseph W. Coyne RPh currently serves as the Director of Field Operations for Clinical IQ where has been since 2017. In his current role he acts as a trusted source for pharmacy information services and product solutions for clients who range from local start-up operations to established national organizations in the hospital, home care, and specialty compounding industries. Prior to joining forces with the Clinical IQ team, Joe served as President and CEO of Coyne Consulting and before that he served as the Enterprise Vice-President of Pharmacy Services for Cancer Treatment Centers of America (CTCA). Joe continues to contribute to numerous industry publications including ASHP’s Compounding Sterile Preparations, 4th Edition which he co-authored the Hazardous Drug Handling Chapter, and is co-authoring the ASHP Hazardous Drug Handling Technician Bulletin revision. He is also an active member of the American Society of Healthcare Pharmacists (ASHP) and has served on the Board of Directors for several organizations including an International Compounding Organization. Joe received his Bachelor of Science degree in pharmacy from the Philadelphia College of Pharmacy and Science where he served as Clinical Preceptor and an Adjunct Senior Clinical Professor of the Department of Pharmacy Practice. He lives in Illinois with him family and when not working in the pharmacy community or with his family you will find him on the road satisfying his passion for bike riding. Melanie is a licensed Pharmacy Technician in Canada. She works at the Children’s Hospital of Eastern Ontario and teaches pharmacy technicians at the Accredited College in Ottawa. The majority of Melanie’s experience is in sterile compounding. 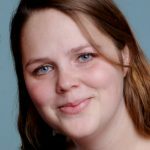 Melanie currently serves as one of CriticalPoint’s subject matter experts and has assisted with eLearning development, video shoots, video editing, and research projects. Lewis is employed by Controlled Environment Consulting (CEC) where he performs Gap Analyses as well as Construction Design Review for pharmacies that fall under the jurisdiction of the USP Chapters <797> and <800>. Prior to joining CEC, Lew was employed by Micro-Clean, Inc. for 25 years. During his tenure in the certification division, he managed over 30 employees conducting a variety of primary and secondary engineering control certification services. Lew is also a tenured trainer participating in a variety of live training programs developed for pharmacies, FDA personnel as well as other certifiers. He lectures and demonstrates how to perform airflow visualization at the Eagleson Institute located in Sanford, ME. Lew earned accreditation in NSF/ANSI Standard 49 in 1995 and he has achieved the National Environmental Balancing Bureau (NEBB) Certified Professional Status in Cleanroom Performance Testing in 2001. Mary Nazzal, PharmD, is the Associate Director of Field Operations for Clinical IQ LLC. She received her PharmD degree from Butler University of Indianapolis and has completed the Nuclear Pharmacy Certificate Program at Purdue University. She has over 14 years of progressive and diverse hospital pharmacist experience including administrative, inpatient pharmacy, de-centralized pharmacy, operating room with a focus in Sterile Compounding. Prior to joining Clinical IQ in 2017, Mary established and lead Sterile Compounding Services including pharmacy related policy/procedure/SOP development, technology setup and implementation, training development and implementation for Cleveland Clinic, Abu Dhabi in the United Arab Emirates. Greg has over 14 years of sterile compounding experience in both pharmacy and manufacturing. He has operated two 503B Outsourcing Facilities and has assisted organizations in navigating multiple FDA inspections. Greg has considerable experience in all facets of running an FDA compliant compounding facility including formulation development, cGMP gap analysis and remediating 483 observations. 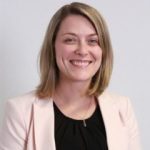 Abby Roth is the Director Learning and Development at CriticalPoint, LLC, a health care training and development company. In her current role she develops curriculum for CriticalPoint’s elearning modules and live training classes. She is also a faculty member for the Sterile Compounding Boot Camp Live Training Series which includes but is not limited to environmental monitoring programs, contamination control practices and sanitization programs. Prior to joining CriticalPoint, Abby served as the Director of Microbiology for Clinical IQ, LLC, and as a Quality Director at a contract microbiology laboratory specializing in environmental monitoring and product testing. Abby has over 14 years of experience in supporting the testing and consulting needs of the pharmaceutical, medical device and compounding industries. Her background in pharmaceutical microbiology includes extensive knowledge of environmental monitoring, including program development, sampling technique, sample analysis and data trending. Abby also has experience in consulting on microbial contamination sources and remediation. She holds a Bachelor of Science degree in Biology and a minor in Chemistry from York College of Pennsylvania. In 2014, she became a Certified Manager of Quality/Organizational Excellence through the American Society of Quality. She is currently serving as an expert committee member of the 2015 to 2020 USP Compounding Committee and is an involved member of Controlled Environment Testing Association (CETA), speaking at their annual meeting and participating in the revision of their CETA Application Guides. Additionally, she has been invited to speak at the state and national level. Adam West is the Environmental Monitoring and Training Specialist at CriticalPoint, LLC. In his current role he is responsible for the development of live training curriculum and eLearning modules for Field Certification Technicians seeking to advance their skills, reinforce fundamental knowledge and implement best practices for the certification of controlled environments. Adam has over 10 years of experience in the certification industry providing Field Certification Services for 503A and 503B sterile compounding facilities and pharmaceutical and medical device manufacturers. In addition to certification, he has extensive knowledge in viable environmental monitoring, including sampling plan development and remediation. 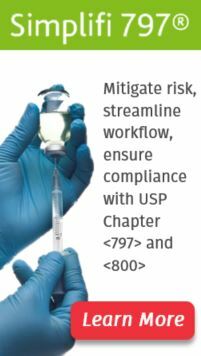 Adam has also provided consultation services for USP Chapter <797> facility compliance. Adam holds the Registered Cleanroom Certification Professional – Sterile Compounding Facilities (RCCP-SCF) certification and NSF-49 accreditation. Brian has been involved in many aspects of the pharmacy industry, including a role as a clinical pharmacist in a pediatric hospital, teaching pharmaceutical compounding, and the ownership and operation of a sterile compounding pharmacy. Most recently, Brian owned and operated a successful 503B Outsourcing Facility. Williamson is now consulting for and investing in various companies and opportunities in the pharmacy space.